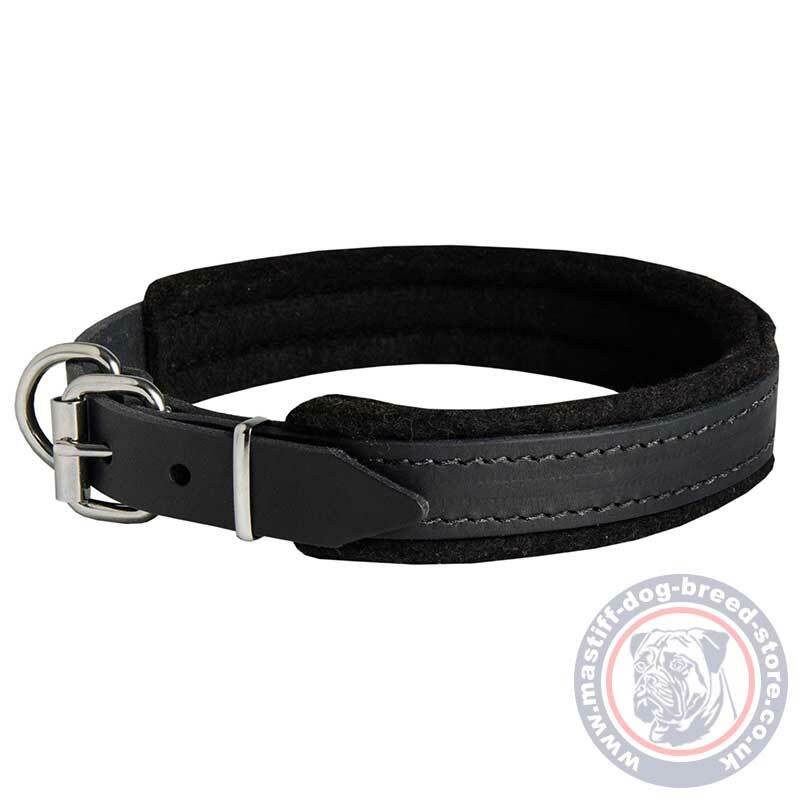 Choose a padded leather dog collar for pleasant and easy control. Sizes: 16-40 in. Colors: black, brown, tan. 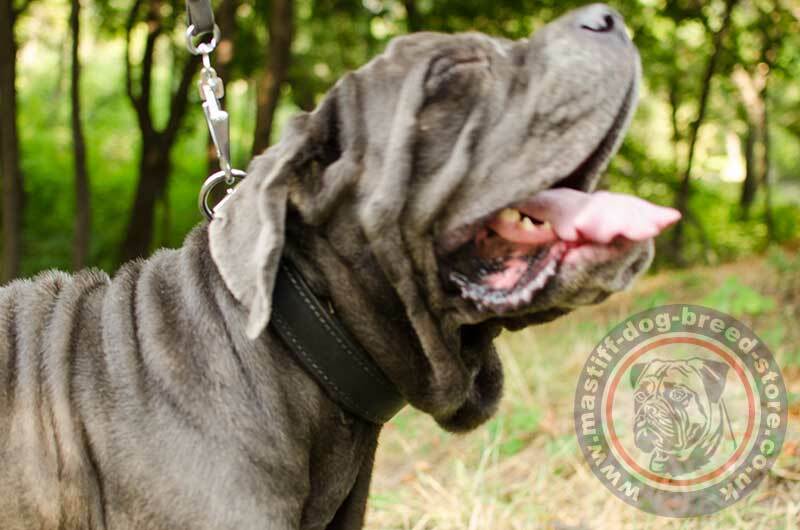 Padded leather dog collar for Neapolitan Mastiff is a special dog collar. Each owner of a large mastiff dog breed wishes to find a strong, quality dog collar that will handle a strong mastiff power. But at the same time we wish our dog to feel comfortable, be safe and have a pleasant walking and training without rubbing of fur and skin of dog's neck. 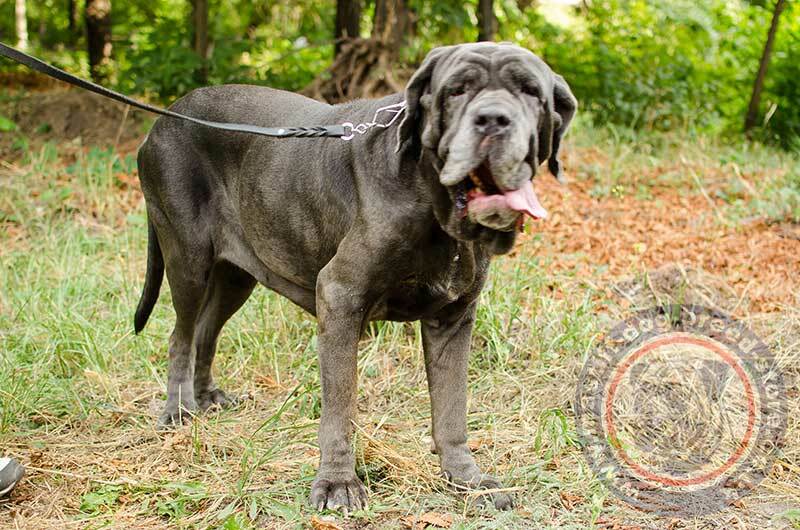 If you care of your large beast, this padded dog collar is a good choice. 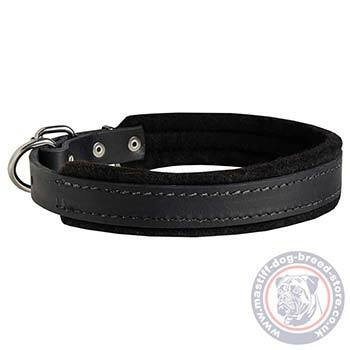 We created this padded leather dog collar super soft and wide. Super strong dog collar for Neapolitan Mastiff temperament handling. This padded leather dog collar will make control over your dog in daily dog walking and training easy and pleasant. 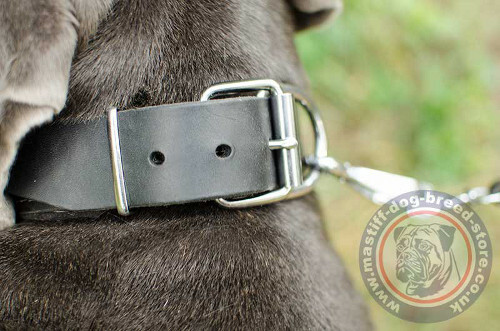 2 ply leather collars and padded leather collars are 1 inch bigger to make sure, that it will fit your dog. Take a proper care of leather material to prolong its service.